Balao Class Submarine: Laid down, 21 October 1943, at the Electric Boat Company, Groton, CT.; Launched, 16 July 1944; Commissioned USS Bullhead (SS-332), 4 December 1944; Sunk on 3rd patrol by Japanese aircraft off the coast of Bali, 6 August 1945, all hands lost; Struck from the Naval Register 17 September 1945 per Secretary of the Navy letter Op-23-S-wh Serial # 399323. 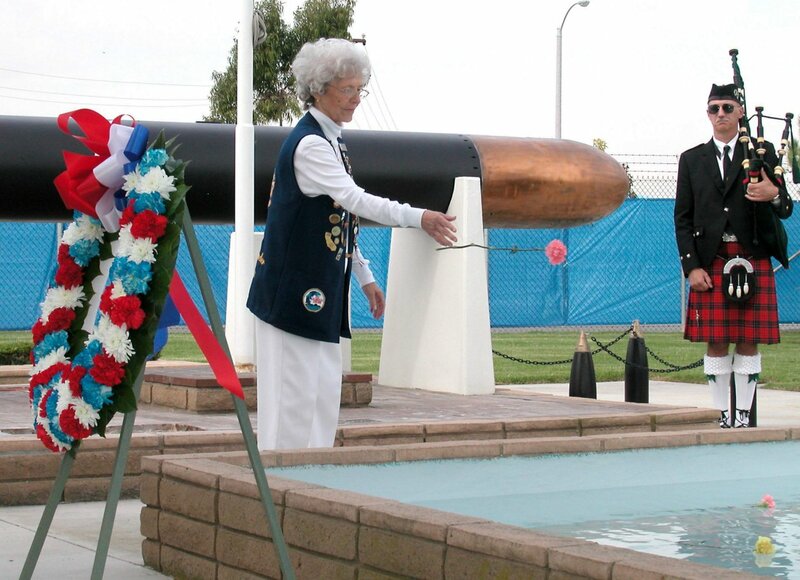 Bullhead earned two battle stars for World War II service. Partial data by James Swank. Specifications: Displacement, Surfaced: 1,526 t., Submerged: 2,242 t.; Length 311' 9"; Beam 27' 3"; Draft 15' 3"; Speed, Surfaced 20.25 kts, Submerged 8.75 kts; Cruising Range, 11,000 miles surfaced at 10kts; Submerged Endurance, 48 hours at 2kts; Operating Depth, 400 ft; Complement 6 Officers, 60 Enlisted; Armament, ten 21" torpedo tubes, six forward, four aft, 24 torpedoes, one 5"/25 deck gun, one 40mm gun, one 20mm gun, two .50 cal. machine guns; Patrol Endurance 75 days; Propulsion, diesel-electric reduction gear with four main generator engines, General Motors diesel engines, HP 5400, Fuel Capacity 118,000, four General Electric motors, HP 2,740, two 126-cell main storage batteries, two propellers. 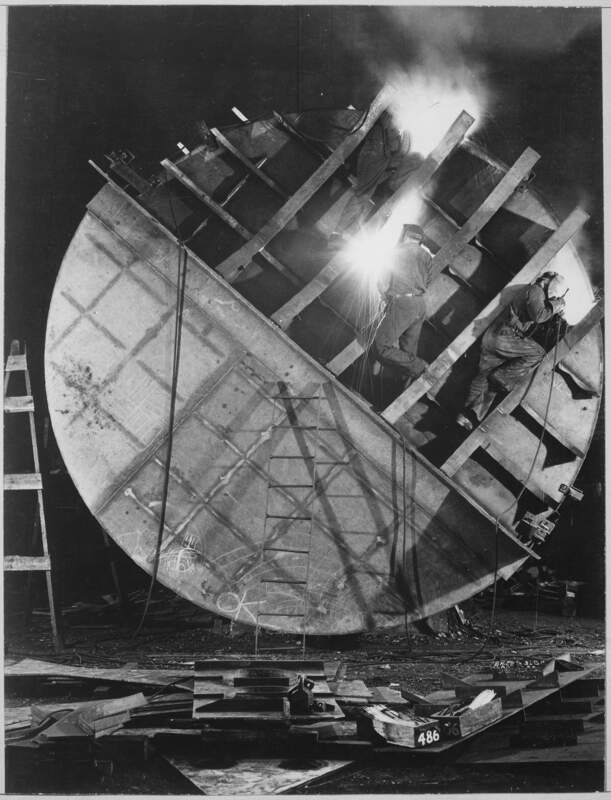 Photo from the Photo Essay How To Build A Submarine at Electric Boat Co. New London, Conn. Photographer: Bernard Hoffman, courtesy of time.com. via Life. NARA FILE #: 80-G-468488, photographed by Lt. Comdr. Charles Fenno Jacobs, USNR. Photo # HD-SN-99-02475, from the Department of Defense Still Media Collection, courtesy of dodmedia.osd.mil. NARA FILE #: 80-G-468489, photographed by Lt. Comdr. Charles Fenno Jacobs, USNR. Photo # HD-SN-99-02474, from the Department of Defense Still Media Collection, courtesy of dodmedia.osd.mil. 21k Commemorative postal cover issued on the occasion of the Bullhead's (SS-332) keel laying, 21 October 1943, at the Electric Boat Company, Groton, CT. Courtesy of Jack Treutle (of blessed memory). 180k Commemorative postal cover issued on the occasion of the Bullhead's (SS-332) keel laying, 21 October 1943, at the Electric Boat Company, Groton, CT. USN photo courtesy of Scott Koen & ussnewyork.com. 570k One of the crew of the Bullhead (SS-332) wears an Indian headdress as the boat slides down the ways, 16 July 1944 at Groton, Conn. USN photo # 80-G-448204 from National Archives and Records Administration (NARA), College Park, Maryland, courtesy of Sean Hert. 108k The Bullhead (SS-332) rescues an Army pilot at sea, during a Pacific war patrol, circa Spring 1945. Note the Asian small sailing craft alongside the submarine. This photo was received by the Navy Photo Science Laboratory on 20 June 1945. It was taken by Stephen F. Birch. Official USN photo, USNHC # 80-G-49461, now in the collections of the National Archives. 124k Bullhead (SS-332), approaches a Chinese junk to pass food to its crew, during her first war patrol, circa March-April 1945. This photo was received by the Navy Photo Science Laboratory on 20 June 1945. It was taken by Stephen F. Birch. Official USN photo, USNHC # 80-G-49466, now in the collections of the National Archives. 71k An officer on the bridge, during a Pacific war patrol, circa Spring 1945. He may be Commander Walter T. Griffith, who commanded Bullhead (SS-332) during her first two war patrols. This photo was received by the Navy Photo Science Laboratory on 20 June 1945. It was taken by Stephen F. Birch. Official USN photo, USNHC # 80-G-49448, now in the collections of the National Archives. 979k Officer takes bearings on the Bullhead's (SS-332) bridge, during a Pacific war patrol, circa Spring 1945. This photo was received by the Navy Photo Science Laboratory on 20 June 1945. It was taken by Stephen F. Birch. Text courtesy of USNHC. US National Archives photo # 80-G-49446, from NARA, College Park, Maryland, courtesy of Sean Hert. 625k An officer looks through one of the Bullhead's (SS-332) periscopes, during a Pacific war patrol, circa Spring 1945. This photo was received by the Navy Photo Science Laboratory on 20 June 1945. It was taken by Stephen F. Birch. Text courtesy of USNHC. US National Archives photo # 80-G-49459, from NARA, College Park, Maryland, courtesy of Sean Hert. 733k Crewmen loading .50 caliber machine gun ammunition, during Bullhead's (SS-332) first two Pacific war patrols, circa Spring 1945. This photo was received by the Navy Photo Science Laboratory on 20 June 1945. It was taken by Stephen F. Birch. Text courtesy of USNHC. US National Archives photo # 80-G-49447, from NARA, College Park, Maryland, courtesy of Sean Hert. 110k A crewman examines medical supplies, during Bullhead's (SS-332) first two Pacific war patrols, circa Spring 1945. Note the copy of Navy "Ordnance Pamphlet No. 635" in the lower right. This photo was received by the Navy Photo Science Laboratory on 20 June 1945. It was taken by Stephen F. Birch. Official USN photo, USNHC # 80-G-49453, now in the collections of the National Archives. 88k Treating an injured crewman, during Bullhead's (SS-332) first two Pacific war patrols, circa Spring 1945. This photo was received by the Navy Photo Science Laboratory on 20 June 1945. It was taken by Stephen F. Birch. Official USN photo, USNHC # 80-G-49454, now in the collections of the National Archives. 90k A crewman talks with an injured shipmate, during Bullhead's (SS-332) first two Pacific war patrols, circa Spring 1945. This photo was received by the Navy Photo Science Laboratory on 20 June 1945. It was taken by Stephen F. Birch. Official USN photo, USNHC # 80-G-49450, now in the collections of the National Archives. 687k A War Correspondent chatting with crewmen in the Bullhead's (SS-332) galley, during a Pacific war patrol, circa Spring 1945. He is probably Martin Sheridan, who rode Bullhead's during her first war patrol in March-April 1945. Note War Correspondent patch on his uniform, "Greasy Spoon" sign and pinups in the background. This photo was received by the Navy Photo Science Laboratory on 20 June 1945. It was taken by Stephen F. Birch. Text courtesy of USNHC. US National Archives photo # 80-G-49445, from NARA, College Park, Maryland, courtesy of Sean Hert. 99k A crewman washing clothing, during Bullhead's (SS-332) first two Pacific war patrols, circa Spring 1945. Note the small lockers above the washing machine. This photo was received by the Navy Photo Science Laboratory on 20 June 1945. It was taken by Stephen F. Birch. Official USN photo, USNHC # 80-G-4945, now in the collections of the National Archives. 86k A crewman writes a letter home as another looks on, in one of the Bullhead's (SS-332) berthing compartments. Taken during a Pacific war patrol, circa Spring 1945. This photo was received by the Navy Photo Science Laboratory on 20 June 1945. It was taken by Stephen F. Birch. Official USN photo, USNHC # 80-G-49449, now in the collections of the National Archives. 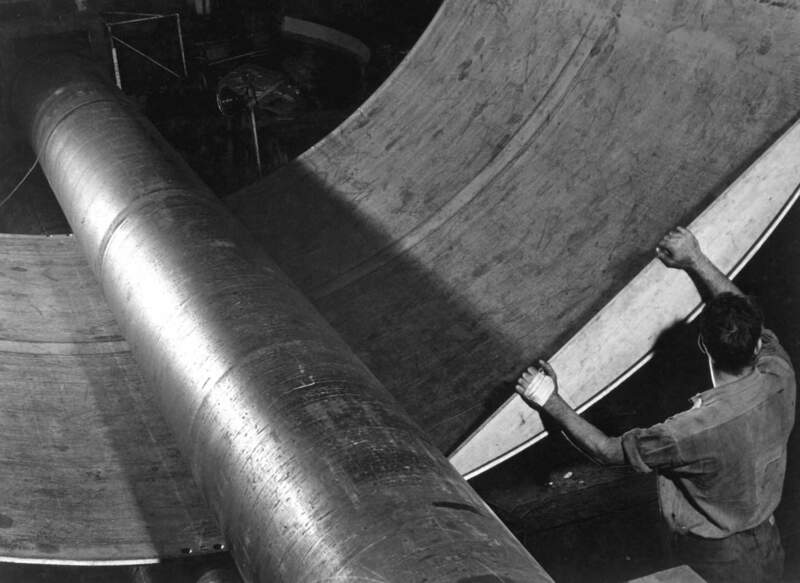 101k Crewman reading in his bunk, atop a torpedo loading rack in one of the Bullhead's (SS-332) torpedo rooms. Taken during a Pacific war patrol, circa Spring 1945. Note the small fan in the upper left. This photo was received by the Navy Photo Science Laboratory on 20 June 1945. It was taken by Stephen F. Birch. Official USN photo, USNHC # 80-G-49457, now in the collections of the National Archives. 729k Church service in the Bullhead's (SS-332) after torpedo room. Taken during a Pacific war patrol, circa Spring 1945. Note the storage bags hung from berths above the torpedo loading racks, and the torpedo tube doors in the background. This photo was received by the Navy Photo Science Laboratory on 20 June 1945. It was taken by Stephen F. Birch. Text courtesy of USNHC. US National Archives photo # 80-G-49458, from NARA, College Park, Maryland, courtesy of Sean Hert. 351k Bullhead (SS-332) underway, 1944-45. USN photo courtesy of subasepearl.com. 531k Bullhead (SS-332) on war patrol in the Pacific. US National Archives photo # 80-G-49464, courtesy of subasepearl.com. US National Archives photo # 80-G-49469, courtesy of Scott Koen & ussnewyork.com. 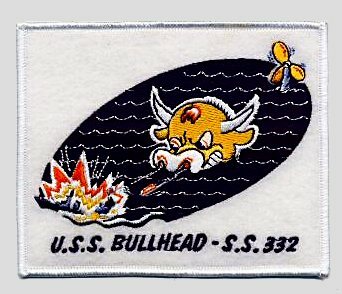 5k While on her 2nd war patrol Bullhead (SS-332) (Cdr. W.T. Griffith) sinks a small Japanese vessel with gunfire off Lombok Strait in position 08.26S, 115.47E. Photo & text courtesy of Great Circle Mapper - � Karl L Swartz / uboat.net. 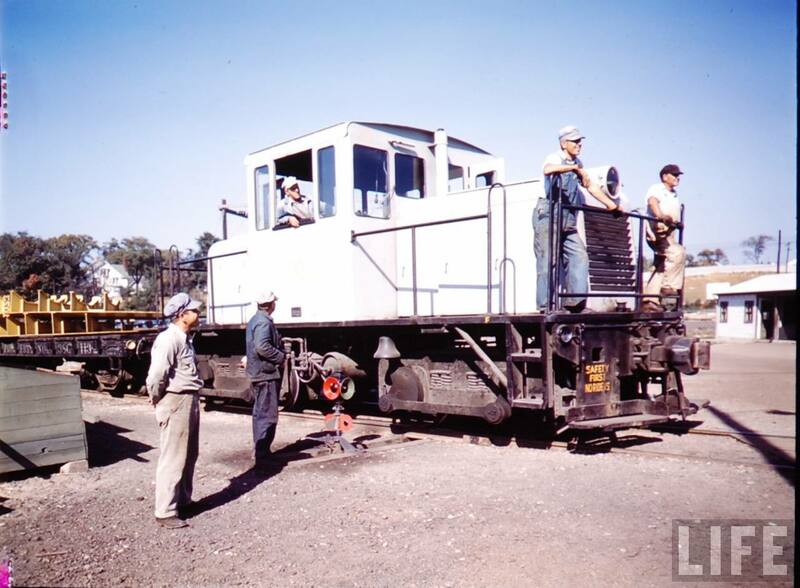 6.07k 69 photo PDF history of Bullhead's (SS-332) first two Pacific war patrols, Spring 1945. USN photos courtesy of Scott Koen & ussnewyork.com. 627k Bullhead's (SS-332) loss was incurred by 2 Mitsubishi Ki-51's which attacked with depth charges. They claimed two direct hits, and for ten minutes thereafter, there was a great amount of gushing oil and air bubbles rising in the water. Since the position given is very near the Bali coast, it is presumed that the proximity of mountain peaks shortened Bullhead's radar range and prevented her receiving a warning of the plane's approach. Text courtesy of Commander Submarine Force, U.S. Pacific Fleet. 65k Google Earth satellite photo of the general area in north-east coast of Bali in position 08�20'S, 115�42'E, Bullhead's (SS-332) last approximate position. View courtesy of Google Earth. 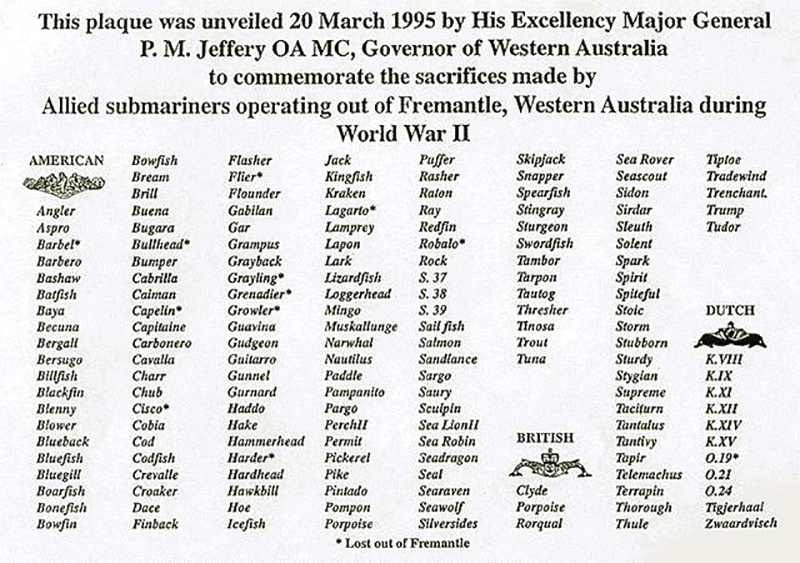 35k Commemorative photo in honor of the memory of the crew of the Bullhead (SS-332). Photo courtesy of Tom Kermen. Dante's Prayer courtesy of Loreena McKennitt via quinlanroad.com. 16k Edward Rowell Holt, Jr., Lieutenant Commander (Commanding Officer) of the Bullhead (SS-332) at the time of her loss. USN photo courtesy of oneternalpatrol.com.